On a scale from 1 to amazing this dip is deliciously amazing. A coworker of mine brought it in for a work party and it was a major hit. 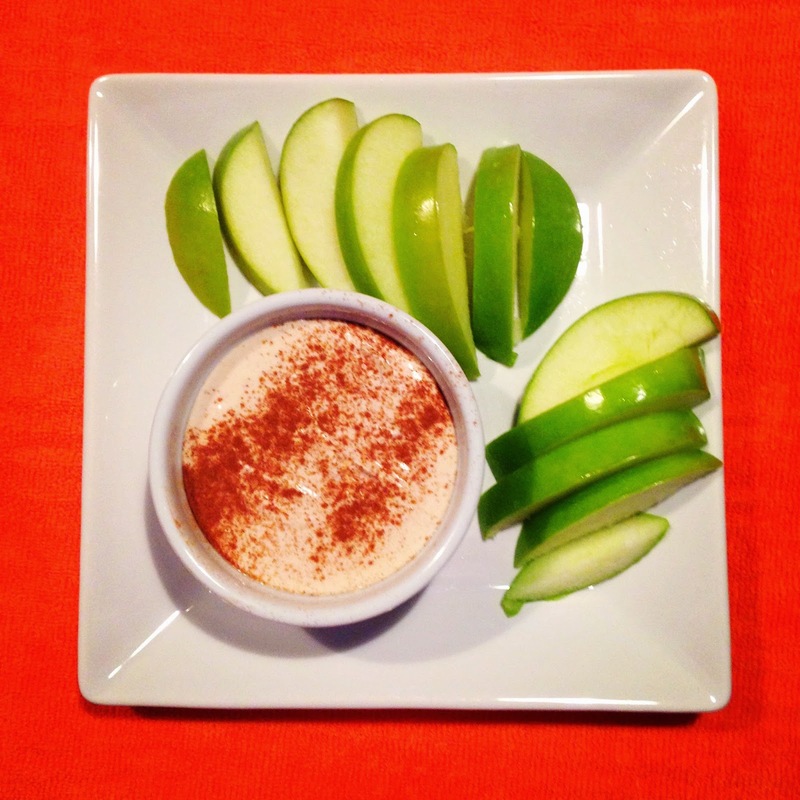 This dip is not only delicious, but also super healthy! The protein from the greek yogurt and peanut butter matched with the fiber of an apple is a killer combo. I love the combo as a breakfast option or a satisfying snack. The below recipe serves 1 but if you're making it for a group just multiply everything by the amount of people you want to feed.